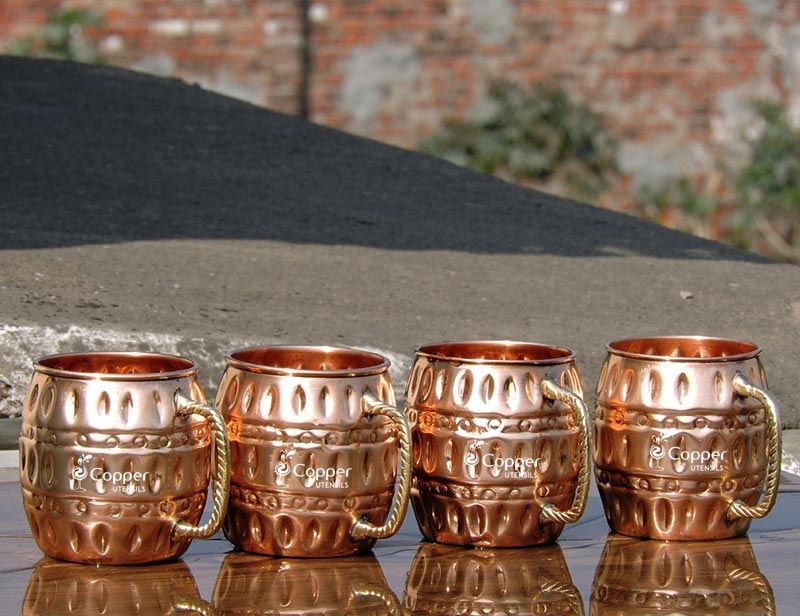 Serve and drink traditional Moscow mule in style. 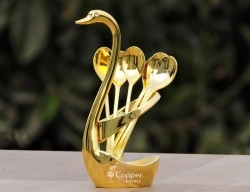 Sturdy brass handle for a better grip. 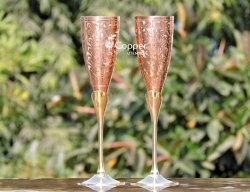 Intricate hammered design enhances the beauty of the product. 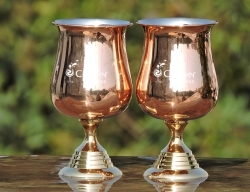 Wide bottom to prevent spillage. 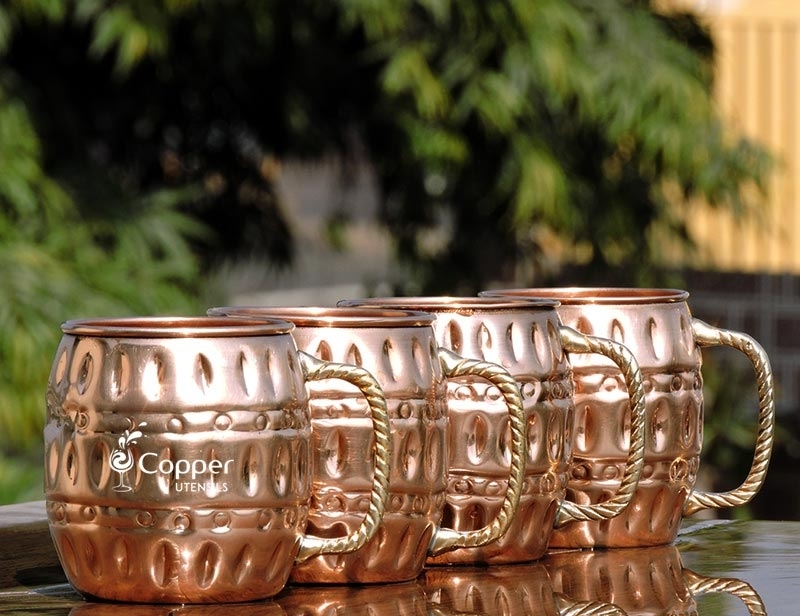 Moscow mule is best served in a copper mug only. 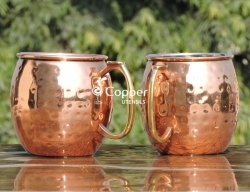 For Moscow mule lovers, it should always be served in a copper mug only and never otherwise. 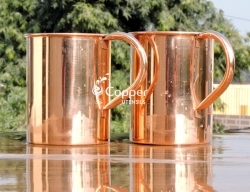 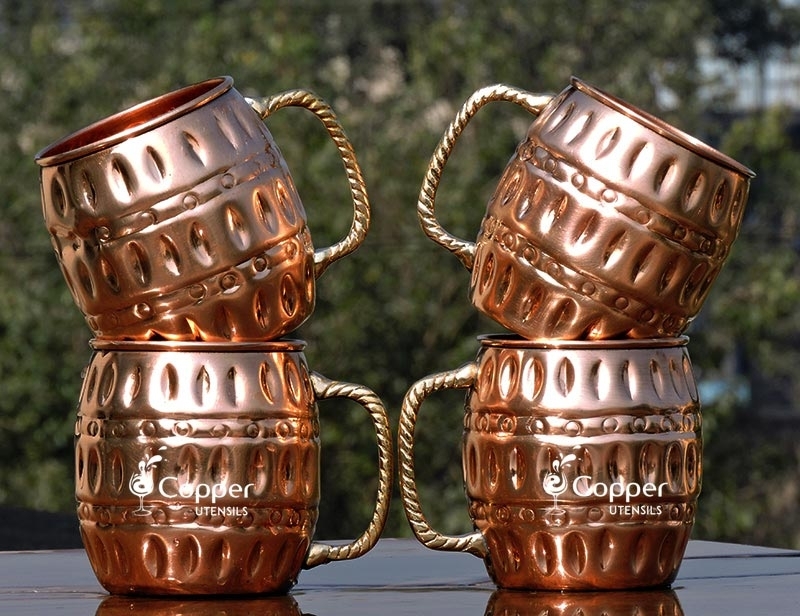 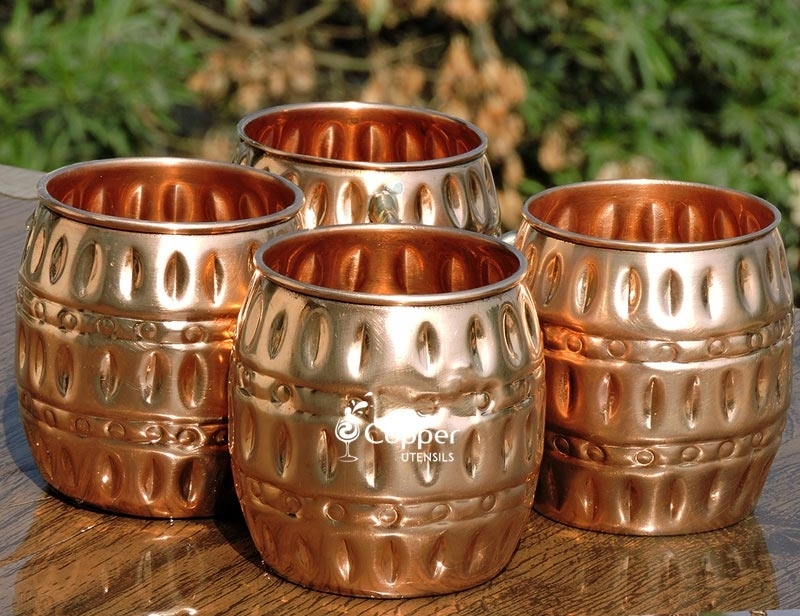 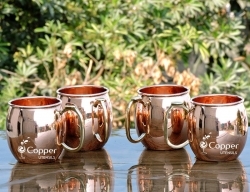 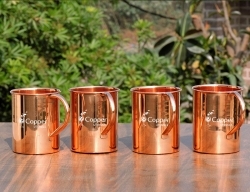 Our set of 4 hammered pure copper barrel Moscow mule mugs can be the perfect addition to your antique mug collection. 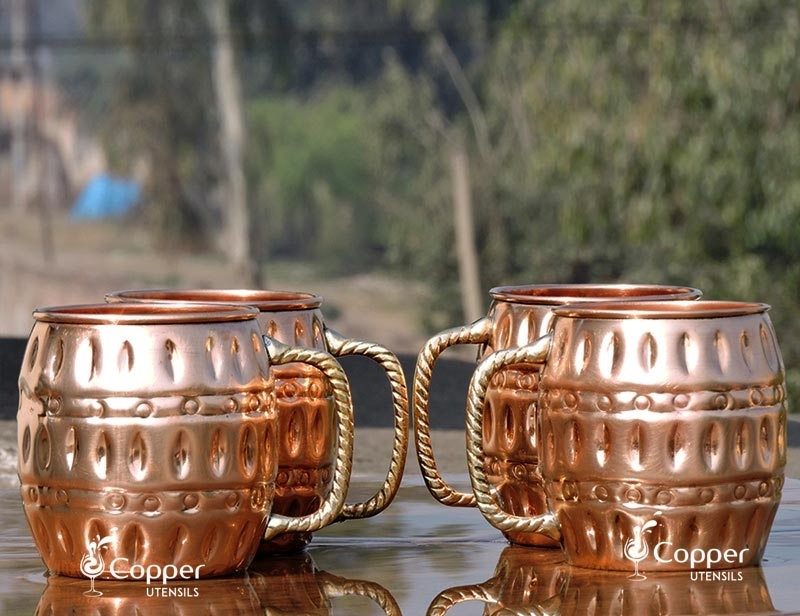 These mugs are both high on style and utility. 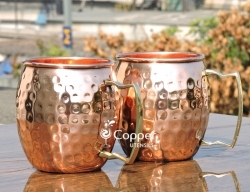 The hammered barrel mugs are hand hammered for an authentic feel and look. 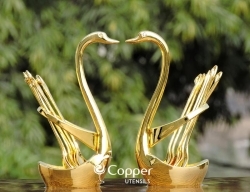 Also, it is fairly easy to maintain the shine and luster of the product. 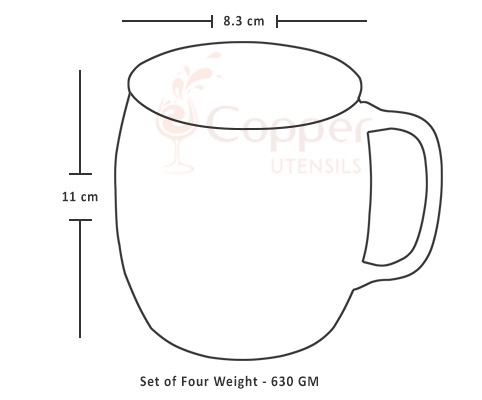 All you need to do is follow the instruction leaflet provided with the product. 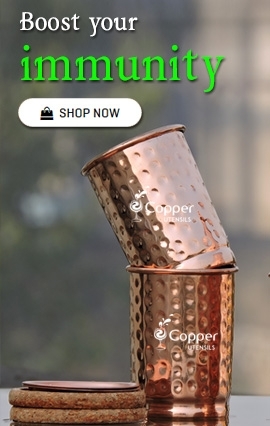 Just make sure to never rub the surface of the product with an abrasive scrubber. 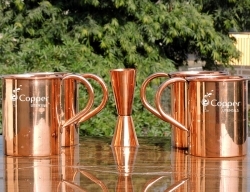 Love these mugs! 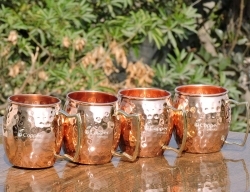 Nice and sturdy and perfect size for a Moscow Mule.